‘Old habits die hard’ – this is phrase which is often used to describe someone who never gives up their bad habits, but today’s post is about this same phrase used in a very positive way. What would we all do if our moms or grandmoms gave up on slaving over traditional food year after year, decade after decade? Not only would our rich culture be in jeopardy but even the younger generation would miss out on the chance to enjoy authentic cuisine or maybe even partake in the process of creating those delicacies and thus carry forward the legacy. 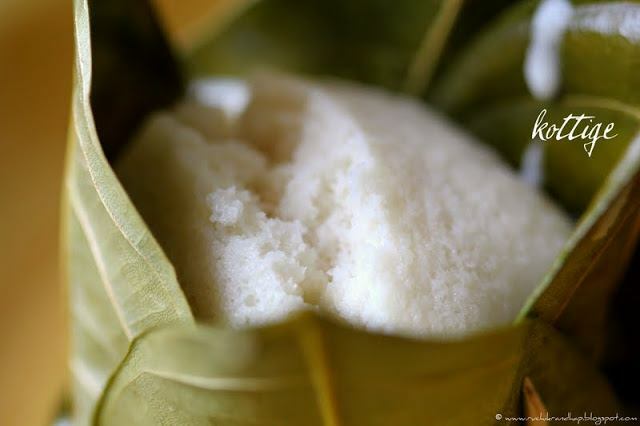 When I recently saw a recipe of the ‘Kotto (as it’s called in Konkani) from my friend Vidya on Konkani Amchi Food, a group on Facebook, I was like wow! what a coincidence! Just a couple of days before I had bookmarked the Kori Ghassi recipe on Cherie’s Stolen Recipes, a nice Mangalorean Bunt recipe blog and I was thrilled when I decided to make the Kottige (as it’s called in Kannada)/Gunda (as it’s called in Tulu) to go along with the Kori Ghassi. Now, the big task I had was to hunt for the Jackfruit leaves and then learn how to weave the baskets. 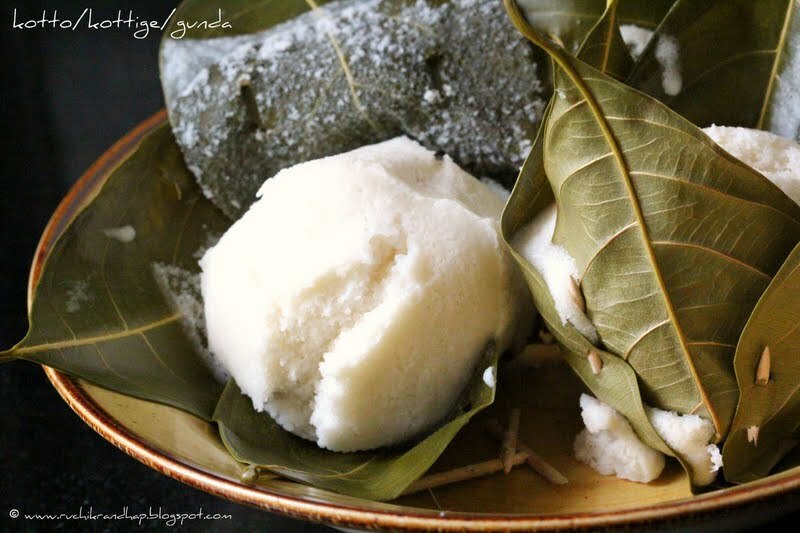 This brings me back to the phrase ‘old habits die hard’ and I am so glad that there are people who still make this today, especially grandmoms who unrelentlessly make authentic dishes everyday – a big thank you to all those who keep them going! 1. Wash & soak the rice and urad dal for at least 3-4 hours. Grind the urad dal first to a fine paste – this will turn fluffy. Transfer to a large pan that will hold it for fermentation. Next, grind the rice with very little water to an almost rawa like texture (should be slightly more coarse than dosa batter texture). Add this to the urad paste & mix well. Add a little water if required to bring the batter to a dosa batter like consistency. 2. Cover the mouth of the vessel with a muslin cloth and keep in a warm place overnight or for 7-8 hours for fermentation. Wonderful Shireen, finally with your hard work n efforts the end result was brilliant… hats off Dear.. n keep on going..
Really wanna have these fragrant idlis now..Thanks for bringing back this process(steaming in jackfruit leaves) in lime light. wow..Thats lovely and classic one..must have been tasty !! Fragrant idlis, just drooling over that last click, wonderful and irresistible pair.. I find this types of cooking really exciting making such traditional recipes in such a nice authentic way! Thanks for sharing n they look really nice! Thanks Charishma, it makes the two of us who are interested in keeping our traditional cuisine alive! If it wasnt for your video I may not have learnt to make the leaf baskets, thanks so much, ur videos are great! And a big hug to your grandma for being such a darling and teaching it to our generation! Thanks so much Vidya-akka for the perfect recipe and instructions!! 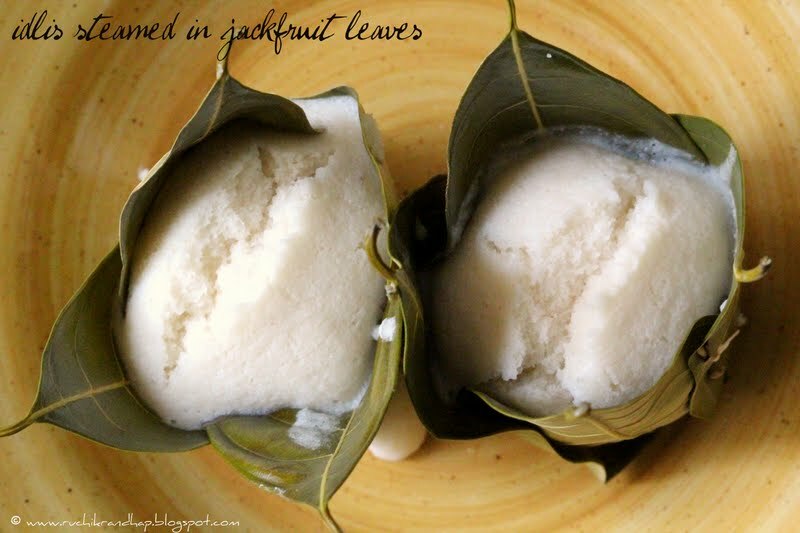 Michelle, i know what you mean and when I found the jackfruit leaves i was so thrilled! 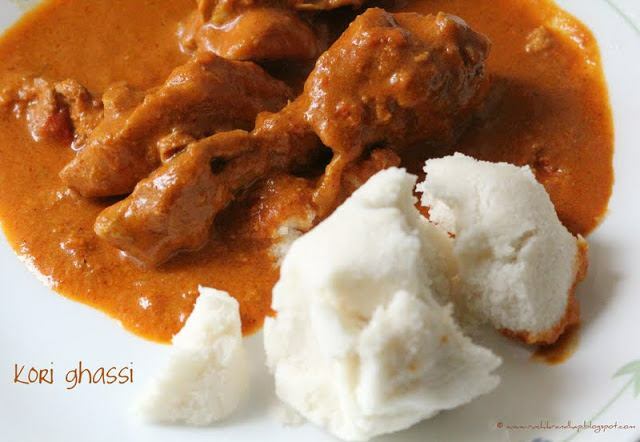 Dont worry, when we meet, I will make this especially for you!